Today, we are lucky to have the opportunity to live in a time endowed with so many evolved manners of communication such as internet and the social networks. 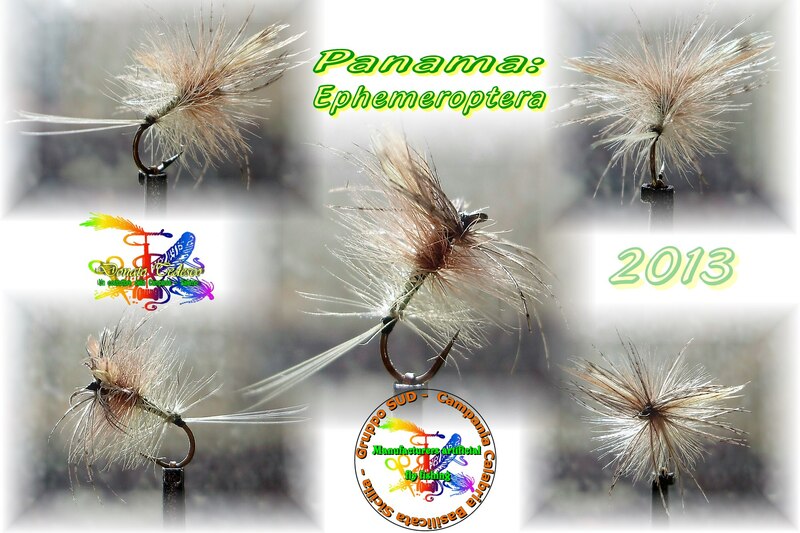 They allow us to be in touch with a lot of persons fascinated by fly fishing. These ways of communication have allowed the members of our Rodtrip team to get acquainted with some highly skilled fly fishermen and fly tiers around the world. But why keep these meetings, informations, contacts and discoveries only for ourselves, if we can share them with you. So with their agreement, we decided to present these great people to you on Rodtrip and let you too enjoy their experiences. 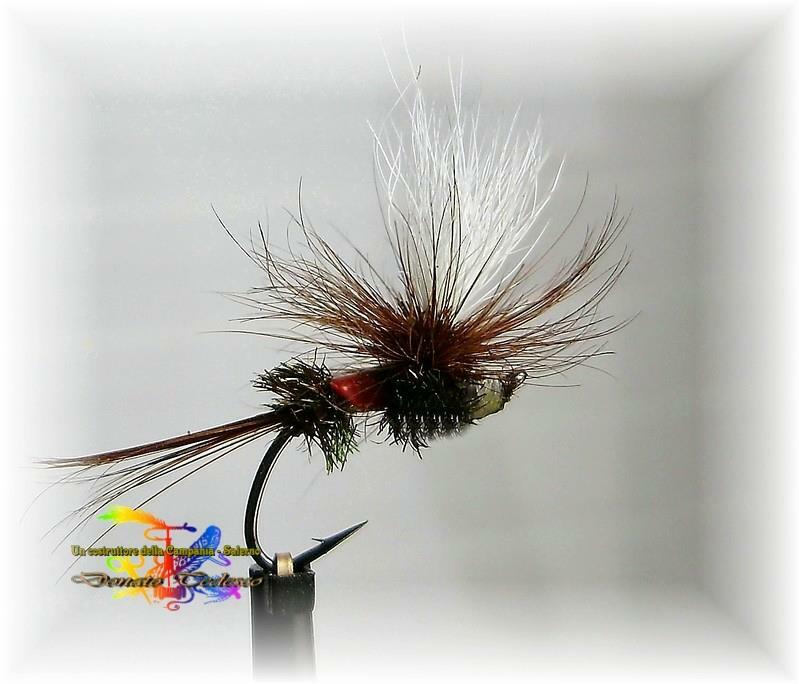 Today we start this new series of articles with a first talented fly fisherman and meticulous fly tier : Donato Tedesco. Donato is of Italian origin and lives in the City of Pagani. He was member of the “SIM” (Scuola Italiana di Pesca a Mosca) from 1988 till 2000. Having obtained instructor’s patent of casting, Donato was in charge of keeping up to date the history of this school and to do it, he was in charge of all what involved with photography and video. 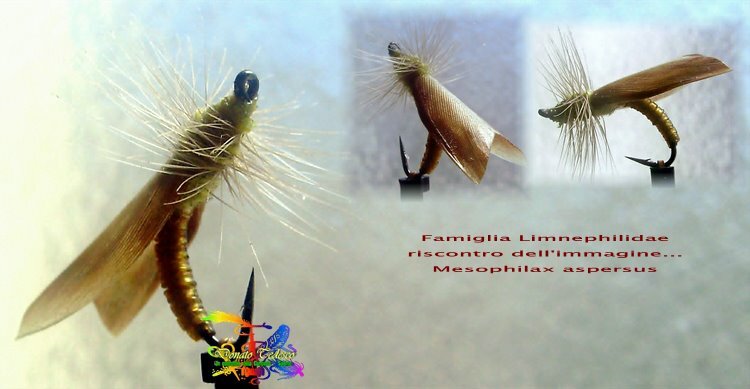 Clubs which were unified in a single society ” Amisci della Valle di ” which included) all the disciplines of the fly fishing (meetings, fly tying, casting). The purpose was to make known fly fishing and to promote “Cahch and Release”. Donato indicates us that no competition existed between them and that sharing of knowledge of all was essential. 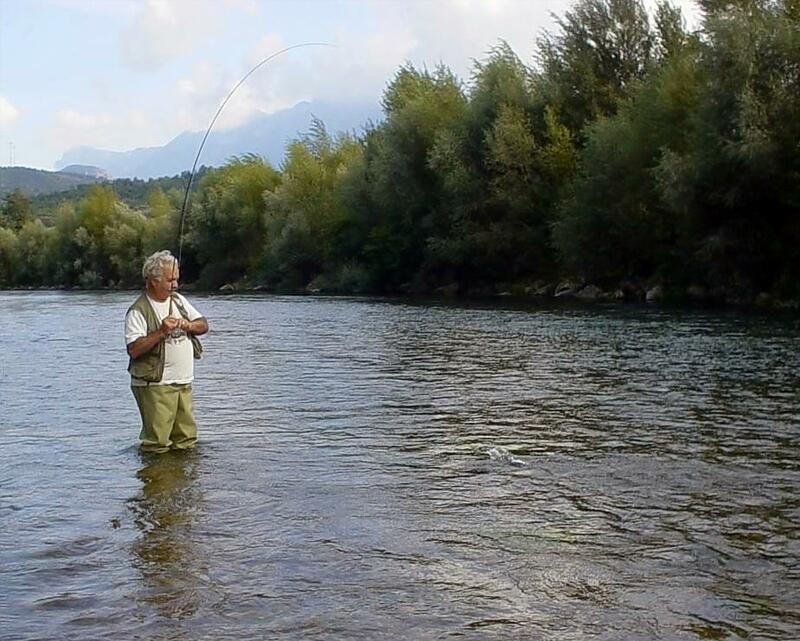 Donato has fished and always fishes in two rivers of the South of Italy: Sele and Tanagro. 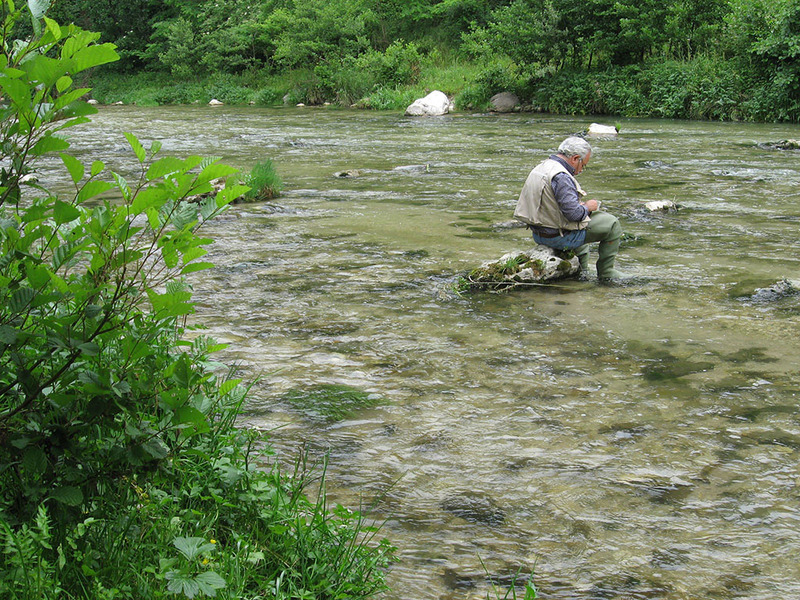 These rivers are managed by “FIPSAS” and resume 20 kilometers of route intended for the fly fishing for trout issued from Mediterranean origin and it’s truly under the control of the “FIPS” and from the clubs of the province. The caddis of Cinnamon Sedge. 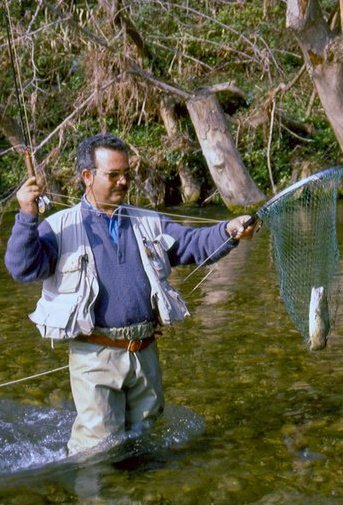 Donato and his friends, although not were many, want to maintain the tradition of the respectful fly fishing of fish, the rivers and the nature generally. Donato allowed the team ” Rodtrip ” to share with you the various photos of his realizations which you can also discover on his Facebook page. Present somebody is not an easy thing thus I asked Donato to send his own presentation that I re-transcribed for you below. 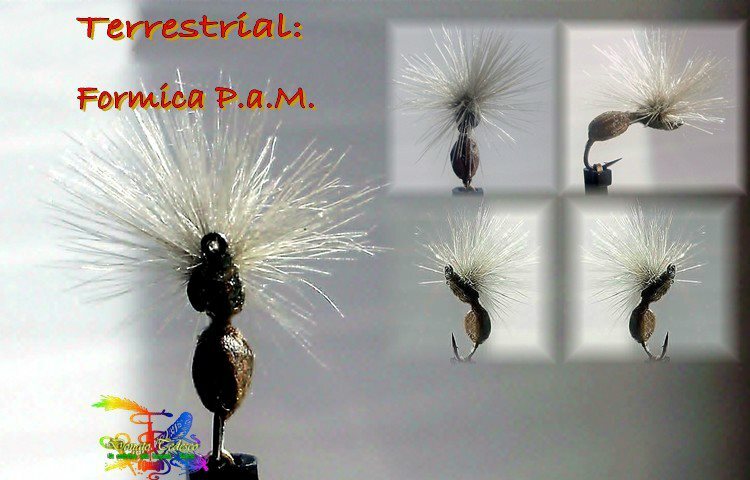 The fly fisherman, it’s not only the title of Roberto Pragliola’s famous book, but it is also the story of my approach to this technique. In 1973, I went fishing with all the systems regulary allowed in my region. But one day, on the river, I witnessed for the first time, flutter a silk in the air. I was attracted by a fisherman, who with a lot of casualness, managed to put his artificial flies on the water as a light feather would fall on it. I had already read in the first numbers of the magazine “Pescare”, some articles about fly fishing. I admired this illustration of a fly fisherman in a total control of its art. I was so much struck by it that I decided to learn the technique of the fly fishing. During another year, I continued to go fishing with other methods until the day when, in the shop window of a store, I saw a fly rod provided with a mill and with a silk. For this day and every time I passed in front of the shop window of this store, I stopped admiring this fly rod. I really wanted to buy it but I remained undecided. At that time, I worked in the distribution of spare parts for cars. One day while I spoke with a friend managing of a store of spare parts situated near the store of fishing, I asked him for what he thought of the fly rod which was in the front window and I admired. As my friend was also a fisherman and as he knew the manager of the fishing’s store, he suggested in succession to me going to admire this fishing rod closer. Arrived in the fishing store and trying not to show to the manager that I was very interested in the fly rod, I bought him some ballcocks and some lead boxes. When I got ready to pay my purchases, I asked him for the price of the fly rod and so by chance, he knew how to use it. The manager answered me that this fly rod had been sold to him by a fisherman of the North and that if I was interested, he would give up it to me at the price that he had bought it, that’s approximately 50.000 liras. We continued to speak about fishing, about diverse techniques, about places of fishing, etc., but all this time, my look was always fixed to the fly rod. So that before leaving the store, I bought it. Years passed without I practised fly fishing and it’s true untill 1980s when I wanted to give it a try to go flyfishinge, thanks to a friend who is unfortunately no one of us anymore today. My friend had some knowledge of the techniques of fly fishing and gave me some lessons of this art. Meanwhile, I had bought a book about flyfishing. This book described in particular the English-style, the classic casting. In the evening, I read attentively the chapters of this book and in the morning, I was going to try what I had read on Sarno, river then rich in population of trout. I had found a quiet place on this river where I went every morning before returning to work, putting into practice what I had read the day before. My friend came to join me and every evening, we were going to fish and we began to capture our first fishes on the fly. Sunday, as we had more time, we went on other streams in particular Sele and Tanagro where we could go fishing all year long by respecting however the periods of spawning. 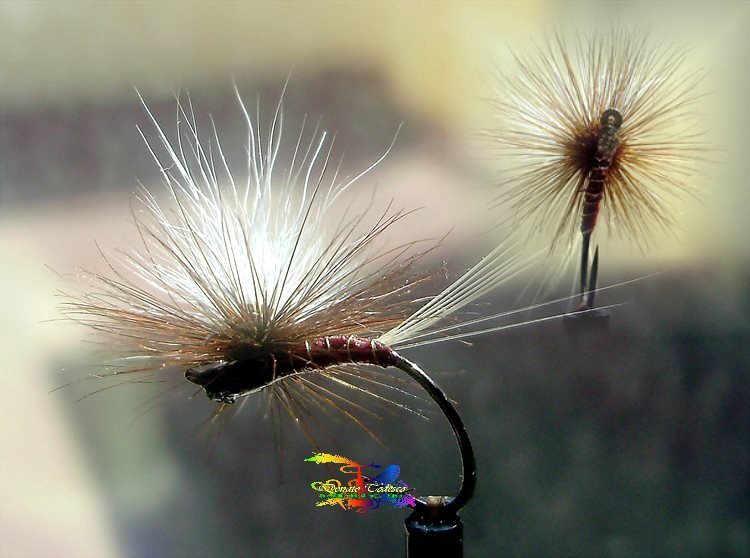 With my friend Vicenzo, we began to tie our own flies and I don’t dare to say to you what we tied in the beginning ! By means of perseverance and of trust in ourselves and having read several books of fly tying, but especially by observing the insects which we met during our days of fishing, our technique became refined. We read all that we found on the fly fishing and the fly tying. I had bought Roberto Pragliola’s very detailed book: ‘Il pescatore con la mosca’. A few years passed and we arrived in Abruzzi Mountains at the Castel of Sangro. We had read in a magazine of fishing, the reputation of this place for the fly fishing. I remember, that we were between April and May, and the magnificent valley of Sangro offered itself in show in front of our eyes. The first thing which we made by arriving was to buy our licenses of capture of fishing which cost at that time 5.000-lira approximately. It was unnecessary to us, because we already practiced ” catch and release “. Our great adventure began then. Having hung up to the wall our old sticks, we took off with only our pair of boots, our fly rods and our boxes of flies gone up by our care. At that time, it was not difficult to take the big trout which were present in Sele and Tanagro. One day, on Sangro, we met Sombre Torrini who already went fishing with Roberto Pragliola. Dark Torrini gave us some advice on the techniques of throw. This lesson of fishing was for us a marvel. In 1983, we met Roberto Pragliola. We invited him on Sele and since then, a beautiful friendship was born between us. With Roberto, we had organized five or six sessions and in return, he asked simply for the refund of his expenses. Afterward, Roberto Pragliola created “SIM” (Scuola Italiana di Pesca a Mosca), school in which Vincenzo and I subscribed. Which wonderful time, emerged then the real illustration of the fisherman to the fly who respected everything. Today, we are many to go fishing on the fly. Nothing would be changed if we had not thought only of the fishing without us measure in the diverse techniques and without wanting to become absolutely the best. I am maybe a romantic, the one that stayed with the nostalgia for his time.